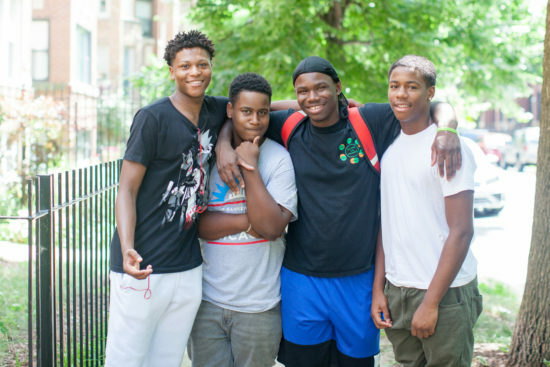 Two summers ago, Family Matters’ Boys to Men program launched an employment initiative, Project RISE, in partnership with the Community Church of Wilmette. 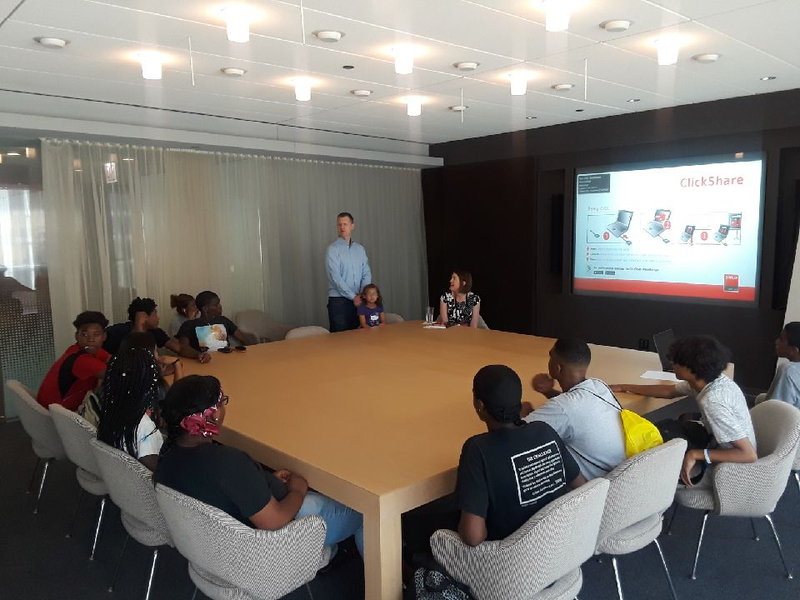 Now in its third year, and with the support of the City of Chicago’s Chicagobility Summer Internship Project, Project RISE expanded this summer to include 31 youth. Project RISE works to address biases and barriers that impede access to the workplace—deepening an understanding of how to leverage youths’ strengths and build relationships across ages, ethnicities, and socio-economic backgrounds. The program encompasses leadership, financial literacy, resiliency skills training and employment readiness, including the mock interviews and resume support given by members of the church’s congregation. This summer’s participants worked 15 – 20 hours per week and had the opportunity to earn up to $450 in total. Teens were also provided a nutritious daily snack. 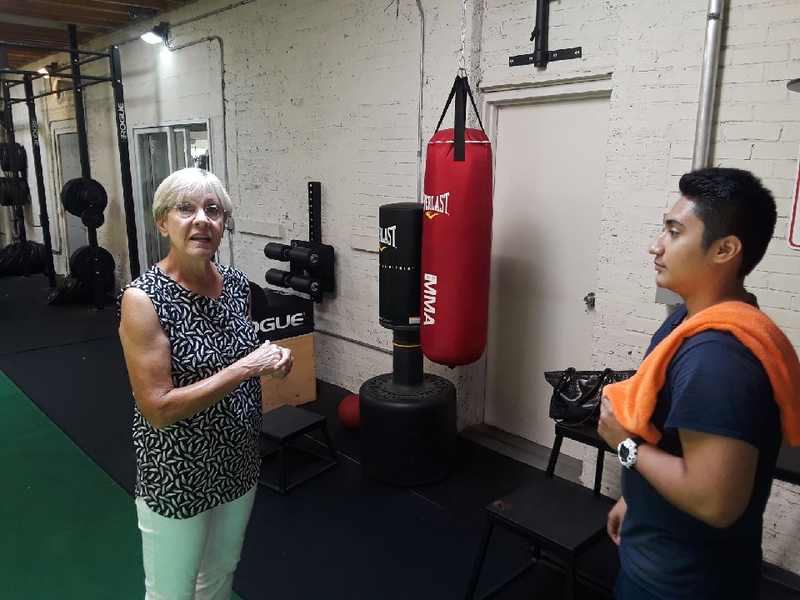 Community business partners included Sol Café, Little Beans, Neon, Urban Warrior, V-Tone Fitness, Neon CRM, Heartland Café, Ya Mon Jerk Grill, and the United Church of Rogers Park – all of which provided safe and supportive learning environments for youth. Project RISE also afforded youth an opportunity to attend six field trips and to host four guest speakers. Guest speakers’ presentation topics focused on banking and personal investment strategies. – Morningstar, Inc. (to deepen their understanding of financial literacy and the power of personal savings). – WNBA Chicago Sky game (including a “meet and greet” with a player and the coaches to learn more about sports management). – Exelon (to learn from a panel of diverse employees about their experiences as people of color in corporate America). – Specialty Print Communications (to get a “behind the scenes” look at direct marketing and the company’s innovative online and manufacturing operations). – Oakton Community College (to be introduced to the offerings of two-year schools: two-year degrees, certificate programs, and how one can take alternative paths by combining the two – i.e. obtaining an EMT certificate to fund a nursing degree). Project RISE continued to provide youth a forum to build transformative relationships, created opportunities for leadership development, and fostered teachable moments. We are excited to continue to grow the Project RISE program in the coming year! 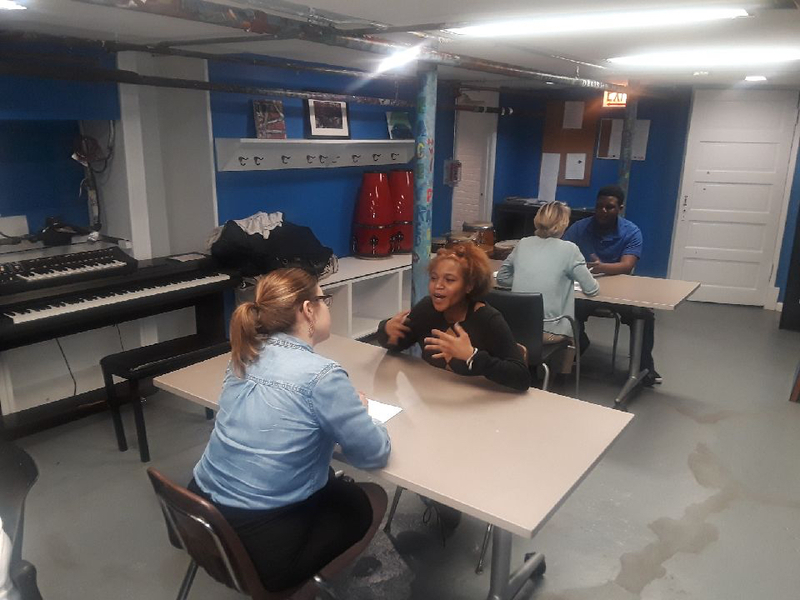 If you are interested in hosting Family Matters teens at your workplace, or in supporting the program in a different way, please contact Chris at chris@familymatterschicago.org. To make a contribution, visit our donation page here.